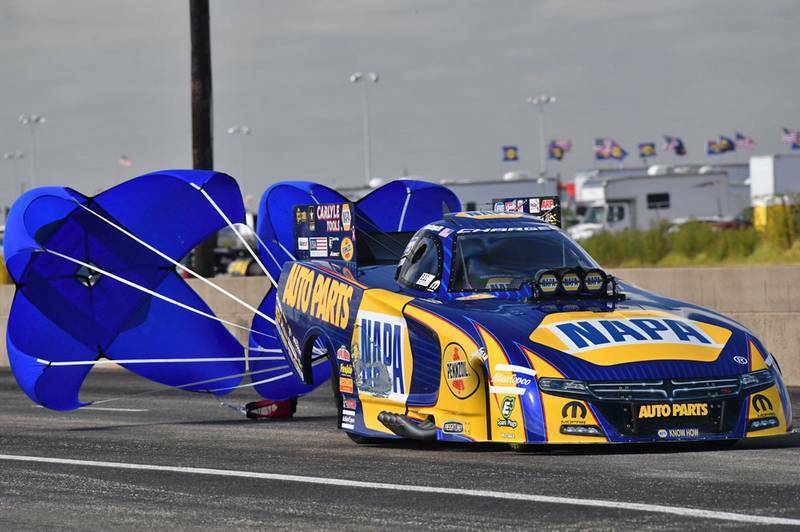 ENNIS, Texas (Oct.16, 2016) – Ron Capps and his NAPA AUTO PARTS Funny Car team led by Rahn Tobler made a bold statement Sunday in the NHRA FallNationals at the Texas Motorplex near Dallas. 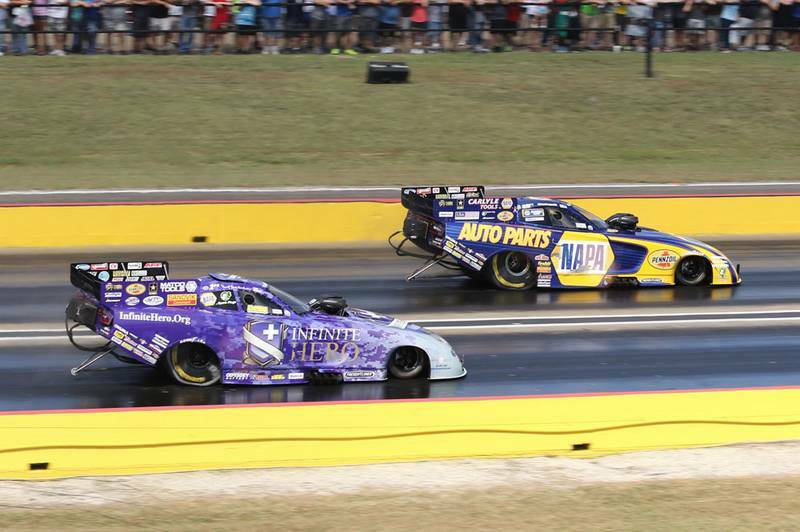 The best words to describe their Sunday would be resilience and teamwork as Don Schumacher Racing’s veteran team advanced to its 10th final round in the 22nd event of the Mello Yello Drag Racing Series season and fourth of six races in the Countdown to the Championship playoff. 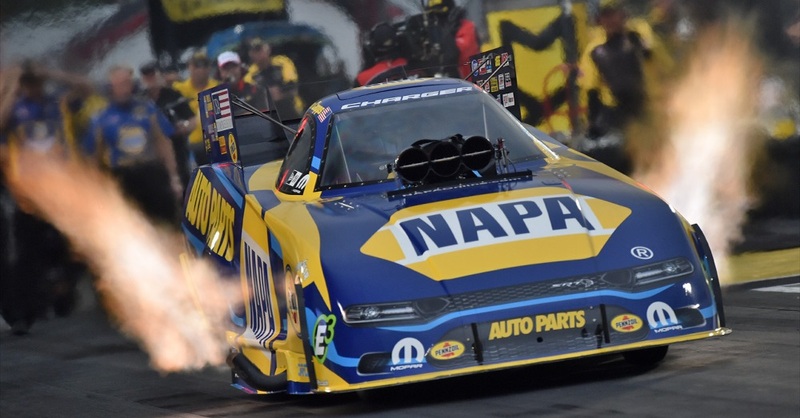 On the surface, although Capps lost in the final to DSR teammate Matt Hagan, the NAPA team was able to extend its championship points lead to 64 points with two races left in the Mello Yello season. 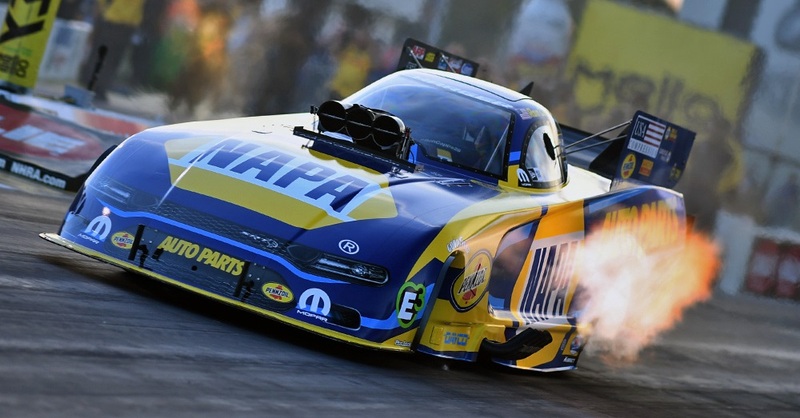 Capps, who seeks his first NHRA championship after being the runner-up a record four times, won his quarterfinals and semifinals races with better reactions at the starting line to post holeshot wins. But that’s not what he wanted to talk about most at the conclusion of the final round. 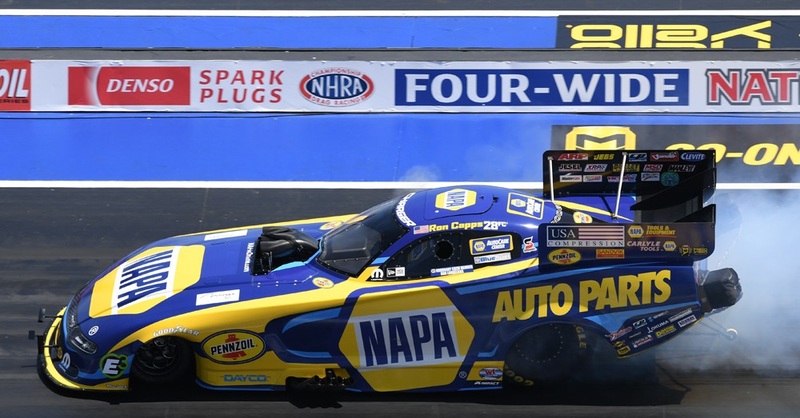 What Capps said the series of events he’ll remember most about Sunday began at the end of his win in the quarterfinals when his Funny Car burst into a fireball at the finish line. He was not injured but his gloves and firesuit were singed. 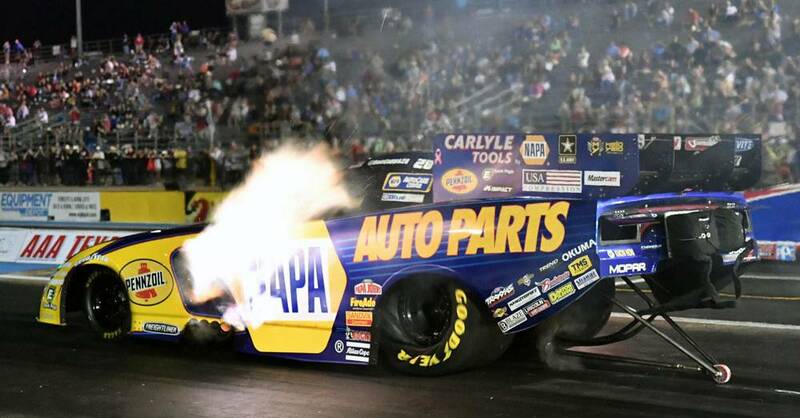 It became more surreal when he returned to his pit area. 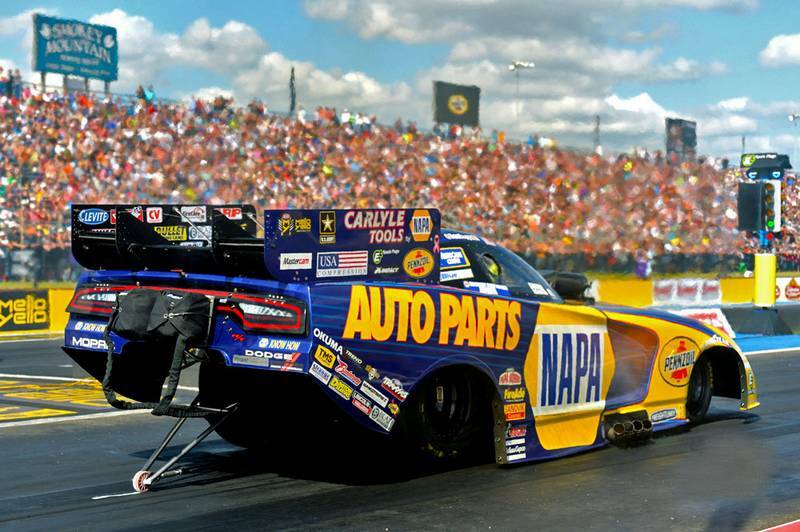 “I get back and fans are pulling out my parachute and starting to untangle it for me. Then I see three guys from our Make-A-Wish team and some of our Army team already there helping our NAPA guys get ready to work on the car. 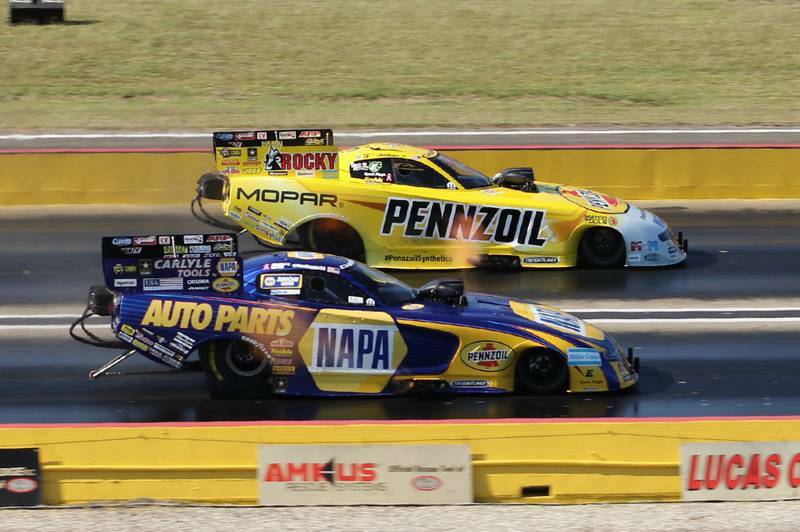 “We’ve been battling with Make-A-Wish for the championship and they lost right before I ran. And they’re in our pits helping us get ready for the semis. We almost didn’t get up there in time and we probably wouldn’t have without their help. 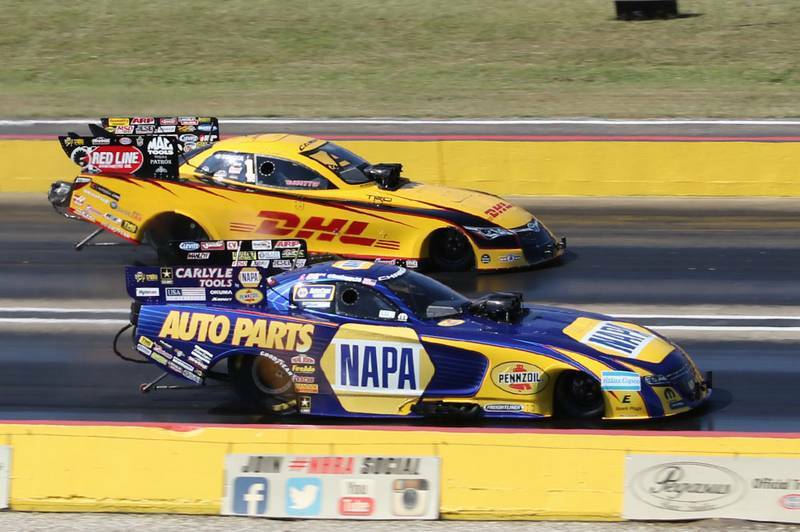 Despite missing coming close to his sixth title of the season, Capps, was able to extend his championship lead to 64 points over Tommy Johnson Jr. while Hagan moved up one spot to third and is 88 behind Capps. 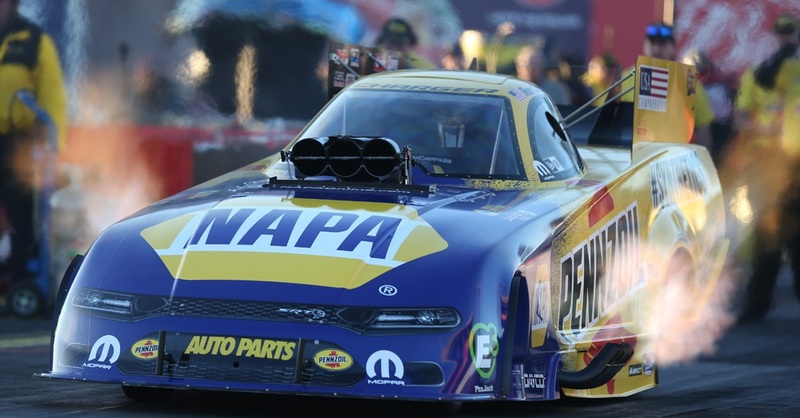 Capps and the other Mello Yello teams will take next weekend off before heading to Las Vegas Motor Speedway for the year’s penultimate race that will be followed two weeks later with the finale in Pomona, Calif.